Recently news broke out when a martian meteorite (founded in the Moroccan dessert in 2011) revealed information about water on Mars. 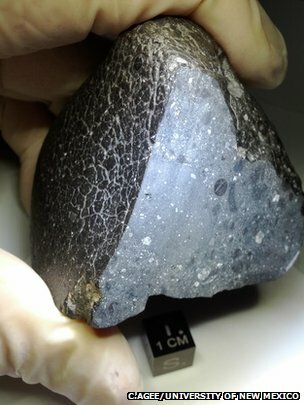 Professor Agee (lead scientist on this research paper) is arguing that this meteorite, nicknamed “Black Beauty”, is a very special rock because it has characteristics of a basaltic breccia rock (or a rock that has fragments of other rocks combined together by a volcano) and that there is 10 times amount of water bounded to the rock than what is normally found in other Martian rocks. This meteorite has also been classified to date back to 2 billion years old which gives us an idea of when there could have been water. However, how do we know this rock truly indicates these findings? 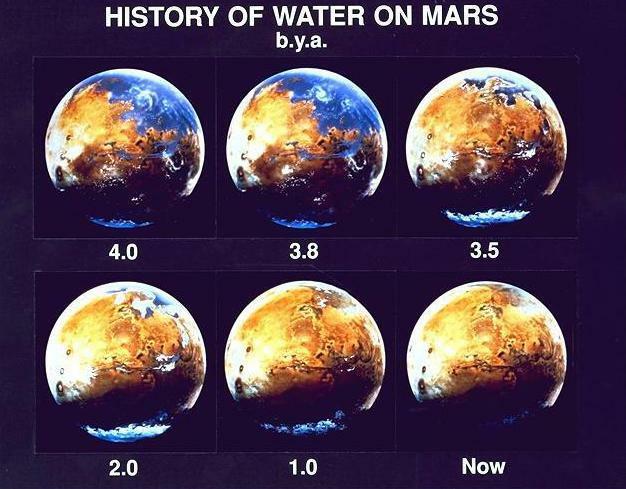 Well other martian rocks found back in 2005 have shown how they can be chemically altered by liquid water. Black Beauty matches those findings as well. This is the second oldest meteorite found and when you look at the oldest martian prospective meteorite which dates back 4.5 billion years ago several lines indicate that parts of Mars were warmer and wetter. The more evidence and rocks we study on Mars today as well as martian meteorites that have fallen to Earth we can piece together the history of Mars and understand if live ever arose there at one point. It looks like there is a really good chance of this. For more information check out the BBC news report or the research paper.